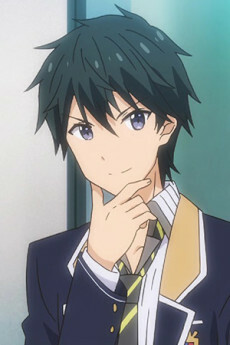 Masamune Makabe is a narcissistic boy who is obsessed with the idea of getting revenge. His feelings of revenge are aimed towards the popular rich girl, Adagaki Aki. Despite his handsome appearance now, he was once a chubby kid who people liked to make fun of. It is shown later on that the reason he hates Adagaki Aki so much was because she rejected his feelings for her and nicknamed him "Piggy". Later on in the story, in order to get revenge on Aki, Makabe teams up with Koiwai Yoshino, Aki's maid.